Designed for users in need to talk to someone online to get help and online counseling by certified professionals, this incredibly easy to use and user-friendly life management app and online counseling tool offers it all. Developed on android platform, this tool will help you improve yourself and get out of the psychological despair with the help of professionals. Any information or feeling shared on the app is completely anonymous, the app is highly discreet. Online psychologists from various fields offer professional help to users in an easy convenient manner. Super Loud Speaker Booster offers users to boost the volume to the maximum, increasing the sound quality according to their device, enabling them to adjust the soundtracks with the five-band music equalizer. For the user’s choice, there are available 10 professional music genres presets. Stop Gap Dental is an easy to use, simple and yet convenient problem-solving business platform for the dental industry. It is designed to save time and effort, finding immediate temporary and future vacancies. 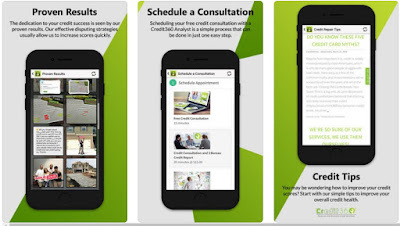 With the help of this dental job search app for Android and iOS users, you can easily find dental personnel or dental jobs, directly from your phone. Stop Gap Dental provides both dental offices and individuals to fully engage with each other, directly, connecting and communicating. Ginger-U is developed for both Android and iOS users, specially designed for women on birth control that need their own personal assistant in order to take and use the pill effectively. Very intuitive and easy for using, this birth control reminder and tracker notifies women on the pill to take it and tells them what to do in case they forget to take the pill. 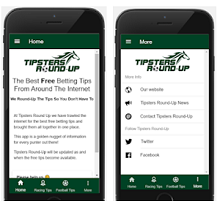 Tipster Round-Up is a free sports betting app that may be of great help if you are frequently betting on football, horses and others ports. When you open the betting tips app you can easily navigate to the football or horse betting tips. You can easily view the daily betting tips for the particular day or check the win ratio and tips from other days. Atoz Gigs is a Phoenix local serviceapp that is quite helpful, affordable and reliable, offering you the ability to provide or find local home services in many job categories like home repair services, local cleaners, sitters, plumbers, gardeners, painters, lessons, tutoring, errand services and other easily. 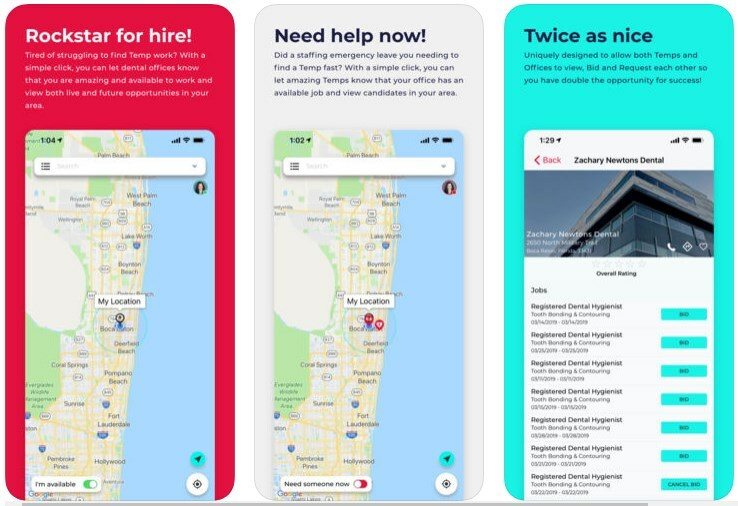 Developed for Android and iOS users, the app allows users to connect with each other to look for help or offer their help to others, anytime they need to earn some extra money or find service providers nearby. Gearth is developed for IOS users (soon to be published for Android too) as one amazing shopping app especially created for selling and buying cars and basically all vehicles. Users with the help of this easy to use and yet highly efficient shopping platform can buy and sell cars locally, easily and quickly discovering cars for sale in their surroundings. No listing fees or commissions just by using the app users get the chance to learn what the car games is all about directly from their phone, without wasting much of their time or money. 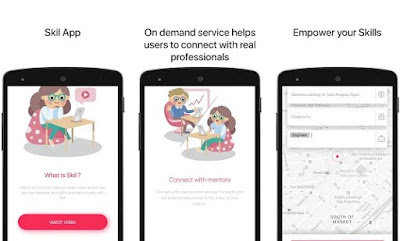 Skil App is an amazing and highly efficient education app that is easy to use, simple and yet highly helpful on-demand service which helps users in preparing for their job interview by connecting them with real professionals to empower skills. Credit360 is created for both businesses and individuals as a credit repair tool which is developed for Android and iOS users. Extremely handy and easy to use, this finance platform offers features and tools to help you repair bad credit scores. Credit checks, credit score rating reports, tips and services are all offered in this all-in-one app with rebuilding experts to help the user repair his credit scores and boost the business credit ratings and personal credits, taking care of all your credit needs without wasting much of your time. Ninja VPN and its features offer you to simply and easily choose the VPN server to connect to and browse through blocked website or service at highest possible speed with just one-tap connect. The main advantage of the app is the available server power. Unlimited bandwidth feature is available so you can connect to safe, secure and fast servers. Check out easily your favorite social networks that are blocked by your country, or watch your favorite movie through any geo-restricted video streaming service, or listen to your favorite podcasts and playlist without any lag or bandwidth limitation. Developed for Android and iOS users, this dining out tracker is offering all lovers of eating out and all foodies that enjoy great food a chance to easily, without much time wasted to discover restaurants, find great food and enjoy the best dining experience, learning from users and helping users to make good dining decisions. Post and share your dining experiences with others and get all the information you need. Find restaurants, select the one you like and browse its menu, post and share your experience. Recently published on Android, the KashBucksRewards app helps you to earn money online effortlessly with just a couple of clicks on your phone in your free time. It’s a new remastered app in this niche offering wide variety of money-earning options. XtayPro is developed for both iOS and Android users as one easy for using and quite efficient shopping platform. It is a sharing economy platform for transport of small and medium-sized parcels utilizing the spare luggage space of people traveling. With the help of the app, users are getting help when it comes to purchasing some products from overseas not available in their country. Also, travelers can use the app to make money by helping users and purchasing items for them, voicing their trip and making new friends. Marcia Pessanha Boston Homes is developed for IOS and Android users that need help getting real estate information in real time. Very user-friendly and easy to use, this helpful and practical app offers users a chance to get real-time real estate information directly to their mobile devices and have access to the homes for sale and MLS listings in Massachusetts with all details without wasting their time. Just with a click, users will be able to contact Marcia Pessanha to get information about properties. EZgifting is an incredible app for gifting developed for Android and iOS. It offers the users a chance to celebrate and honor their close ones and their special celebration events such as birthdays, weddings, graduations and baby showers with creating a gift and collecting money for it. Teaser Music and the features offered on it will offer each user and music lover a whole new music experience of trending music from the whole world. Using this app will allow the user to add music he/she likes in his/her favorites and all the records of his/her liked songs will be stored making it easier to access. Developed for both iOS and Android users, Gainbuzz is created for all media buyers, media sellers and advertisers that like to simplify the whole advertising process. 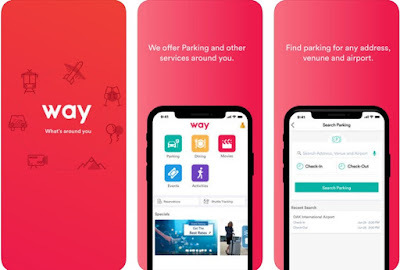 The app is simple and yet highly efficient, offering the users to discover detail information on 1000s media types like locations, rates, availability and much more the user needs at his fingertips whenever he wants. Using the business app allows the users to list, discover and book local advertising spots by using mobile and web applications, enabling smarter, faster and better media planning and buying. Additionally, media sellers can find more advertisers and sell their advertising spots. Crypto coins are booming, so having a tool that will alert about price changes is a must. This productivity app is especially developed on android platform as one easy to use and very efficient cryptocurrency alert app that is offering users the simplest features that will help them to keep track of the latest cryptocurrency rates, staying up to date with the cryptocurrency world, getting alerts and charts about the changes in cryptocurrencies they are following. EmMa is an iOS app that provides users of practical ways for dealing with stress and anxious thoughts. It is easy to use, designed with neat user interface and full of researched-based techniques from the field of psychology. The Leelou Personal Safety as the companion app for personal safety on demand is easy to use, simple and efficient, offering its users ground breaking information to carers in times of distress, anytime and anywhere they need it. Developed for android and IOS users, this SOS alert personal security app is helping users feel safe and get instant help whenever they need it just with tap on the SOS alarm button. With the personal safety app, users have a chance to protect themselves and their loved ones, using the best personal safety features offered in this reliable personal safety app. If you want to instantly earn rewards, discounts and other offers with the help you your Android or iOS device, LiveShopper is the app you’re looking for. It is easy to use and works very simple — when you’re at a store, restaurant, hotel, entertainment venue or other participating business, you will have the chance to answer a few questions about your experience, or be asked to perform quick and easy tasks in exchange for rewards that you may be able to use immediately or during your next visit. If you are in anyway connected with crypto or you are just start to get to know the cryptomarket then CoinsNow is a must. This live cryptocurrency app is developed on android platform as very helpful and informative cryptocurrency tool which allows the users to get all data and information they need about many cryptocurrencies in real time, directly on their phones. Using this easy to use and simple app offers users to get updates on more than 1000 cryptocurrencies just with a tap on their smartphones. The user does not need to refresh the app to get the updates and data, getting instantly all information needed. This fashion clothing app for android users is offering users a chance to find and choose the perfect outfit for every occasion they need easily, searching for the most amazing trendy and fashionable outfits. It's a fun voting app too, where users can select the outfits they like and thus giving the original users feedback on their outfit doubts. Great for anyone who loves fashion and clothing. The second app you need to have right now is the app that educates you and helps you earn cash. IQ Jackpot is a trivia game that is especially created as live trivia show where the players need to purchase a ticket for only $0.99 to join the live show, answer the trivia questions correctly and get the chance to win the ultimate cash prize. There are 24 shows daily prized at $100 each. Wishpoke is a social networking app that is developed for both Android and IOS users as one easy to use and incredibly practical Wishlist app that allows the users to be introduced to one amazing and unique way of gifting, through inspiring and sharing. With the app’s help, the user can discover gifts for their loved ones, for every special date and occasion or even create his own Wishlist to share it with his friends and family. Inspiring others or getting inspired is easily done with this app because the user can share wishes on his own or make wishes of friends and family come true. This is one incredible and unique ringtone downloader app which is developed on android platform, easy to use highly helpful, offering users to find unlimited number of free music ringtones that can be used for their smartphones for calls, text messages and notifications. 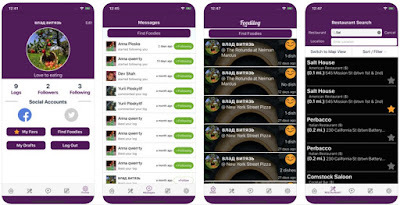 With the help of the app as professional and improved version of the previous Today’s Hit Ringtones app , the user have the chance to find the perfect ringtone with quality search and access features available, depending on their taste and set it for someone special that calls them or texts them. When we do the all in one shopping we want our products to be of good quality and we want to do it without coming onto some scam. That’s why we offer you Pret a Pak, an amazing online shopping app, giving you the best shopping experience. Doesn’t matter if you wish to buy something that has a designer’s name on it, from accessories to groceries or home décor appliances; you can now find it all without a hustle. Flexible and easy – all you need to do is sign up after you download the app and enjoy your online shopping experience! The Humble App is creative and innovative platform that aims to simplify the lives of both, beauty consumers and beauty service providers. This beauty app is an amazing mesh of features that everyone can benefit from. As a customer, one can find the exact service they require from manicures, to hair and make-up styling and everything and anything in-between. Within just a few seconds, customers can find out about the prices, ratings, reviews or portfolios of their chosen beauty artist or salon. They can book appointments or hire a freelance beauty professional with a simple swipe on the screen of their smartphone. Storybeat is a great app that gives you the ability to add music and sound effects to your social stories, videos or photographs. With the Storybeat add music to stories app you can spice up your Instagram posts with cool music and sound effects within seconds. If you found adding music to your Instagram Stories and photos to be hard or complicated, Storybeat can help you with is simple and easy to use options. .
Till this day I’m amazed how great this app is. Not only that it categorizes the foods you want to cook, and not only that it tells you which products to use, but it gives you detailed guide to cook the recipe. Also it offers a cart, in which you can choose which products you miss to make the meal and make a list. On top of that “Recipes” gives you detailed Nutrition Facts for the meal you’re going to it, which is pretty awesome! AdLottery is one interesting and fun lottery app which is easy to use and simply offering all its users all the benefits of lottery without the risk of losing their own money. With this app developed for IOS users, all users have the chance to win the daily jackpot just by watching simple short ads each day. If the user wins the jackpot he can instantly cash-out his winnings. The app is completely safe and it offers all users the chance to win big without entering their own money. Users by using the app will never again feel the need to buy another lottery ticket. With My Team Values – Team building, you simply require one individual to outline the game, and the rest is dealt with! That is precisely where portable applications fit into the team-building plan of things. 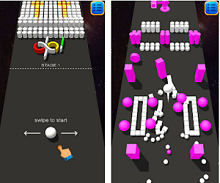 This app is at the forefront of team-building methods. They are an up and coming innovation that a great many people know about. Utilizing a versatile application for your team-building occasion additionally implies that it is less demanding to set up. In the event that you utilize the privilege application, you may not multiple people administering the event. monUnique is developed for both Android and iOS users as one easy to use, efficient and interesting photo design app that allows users to create different designs from a specific photo using the patented process offered. This unique design and vector art creation process makes it one of the best digital art creators and that is why it is a must try at least once! If we missed some app please comment.